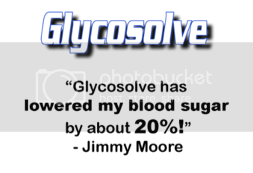 It was a fantastic time on the 2013 Low-Carb Cruise back in May this year and we're reliving a few of those memories on the podcast by airing these exclusive lecture presentations by this year's guest speakers. And if you want to watch these in video format, we're embedding the video footage for each of these guest speakers in the show notes for each episode. 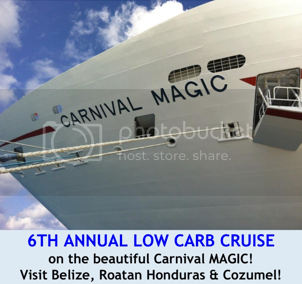 Registration for the next Low-Carb Cruise coming May 18-25, 2014 is NOW OPEN. 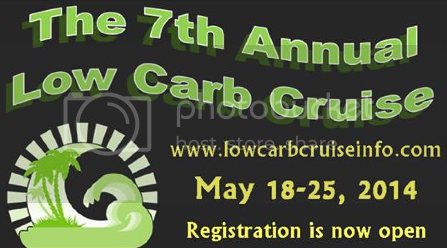 CLICK HERE to sign up to be a part of the 7th Annual Low-Carb Cruise featuring so many wonderful guest speakers and so much fun with your fellow low-carb and Paleo enthusiasts. Today's featured lecture is by a woman who is arguably the most knowledgeable expert in the world on the Atkins diet named Jackie Eberstein from "Controlled Carbohydrate Nutrition (listen to Jimmy's interviews with Jackie in Episode 152, Episode 153, Episode 389 and "Ask The Low-Carb Experts" Episode 1) who gave a talk about the three decades of experience she had working as a registered nurse using low-carb, high-fat diets with patients in the complementary medicine clinic of the late, great Dr. Robert C. Atkins. Listen to the podcast and/or watch the video below.